Performances 20th -22nd and 26th -29th June at the Sherborne Studio Theatre, and on Saturday July 6th at 4.00pm as part of the Shaftesbury Fringe Festival. 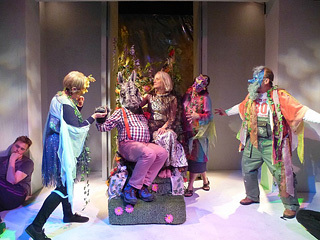 At the Noda South West Awards, held in Plymouth on March 16th, APS were awarded the Councillor's Cup for A Midsummer Night's Dream. This cup is awarded to the production that, in the Councillor's opinion, was the most outstanding South West production of 2018, taking into account the acting, set, costumes, music, lighting, props, mood, tone, and interpretation, irrespective of size, budget, category or location. Amateur Players of Sherborne (APS) are one of the oldest groups in the area. Since the group was founded in 1934, we have presented over 160 shows and have received a number of awards. 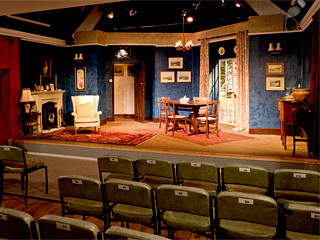 We are now based in the Sherborne Studio Theatre. 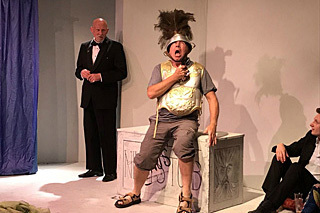 In March 2019 at the Sherborne Studio Theatre we presented Harold Pinter's The Birthday Party over six nights. This powerfully intense, thought-provoking play proved to be extremely popular and the last four nights were sold out. 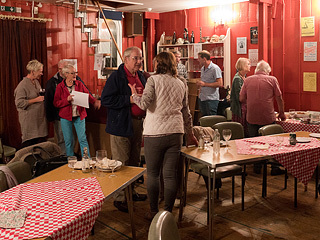 Formerly a chapel (known as 'The Tin Tabernacle'), Sherborne Studio Theatre has been converted into a cosy, intimate setting with a stage, green room and an auditorium that can accommodate an audience of around 40-50 people. You are very welcome to become a member of APS, whether you want to act, work back stage or just enjoy our company. If you would like to get involved in staging a play or just enjoy an entertaining night out, we will be delighted to hear from you. If you don't want to become a member of APS, but would like to receive advance information about our productions by email, do please complete the form below. Rest assured that we will only use these details to contact you about productions. To prove that this is not automated spam, you must answer this question. Using only numbers, what is 10 plus 15?